Edzoocation: See What's New at the New York State Zoo! The history of the New York State Zoo at Thompson Park begins in 1920, when the Northern New York Trust Company donated two whitetail deer to Thompson Park and the City of Watertown. The goal was to create a naturalistic exhibit that would offer its visitors an opportunity to enjoy the grace and beauty of these indigenous animals. Since the early days, Watertown’s “Thompson Park Zoo” has been home to a diverse collection of wildlife from the exotic, to the indigenous. The Zoo was able to purchase its first animals thanks to funds raised by the Children’s Park Zoo Club. The club, under the leadership of a twelve-year old boy, was formed as a support organization to provide a source of funding to feed the animals and to construct small habitats for porcupines, raccoons and other small carnivores. Over the next few decades, Zoos across America began to make a shift towards a more naturalistic method of caring for and housing its animals. A new generation of leadership sought to incorporate these changes into our own Thompson Park Zoo. 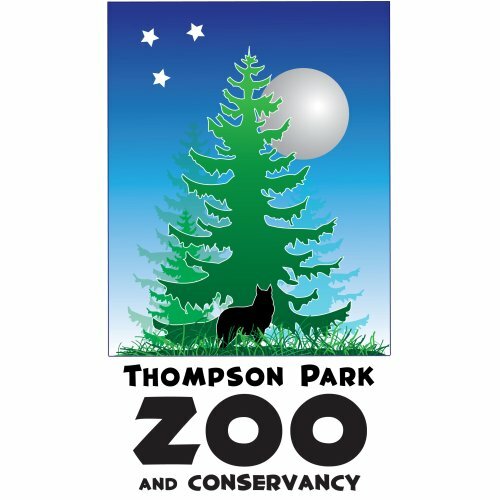 The new goals led to the establishment of The Thompson Park Zoo and Conservancy. In 1992 the zoo became a federal not-for-profit 501(c)(3) entity. Since then, we have begun a period of rapid growth and expansion, creating a “new zoo” for the community of Northern New York. The New York State Zoo at Thompson Park is now the second most visited attraction in the Thousand Islands Region. It attracts nearly 50,000 visitors per year and is supported by over 800 member households and reaches nearly 10,000 people through educational programs. Our mission at the New York State Zoo continues to move forward – always with a goal of inspiring conservation, education, and family oriented programs.